Just a couple quick pictures of the 91 J bike we have recently almost finished. I went with the ZXR decals on this one as I prefer the tails this way. I know you don’t need to be told but it looks really nice. Can’t wait to see what you do with the K.
There are a few things I would like to get corrected on the next but overall this came out great. The K was the first bike I 'lusted' over, always seeing one on my daily commute during summers to my job downtown. 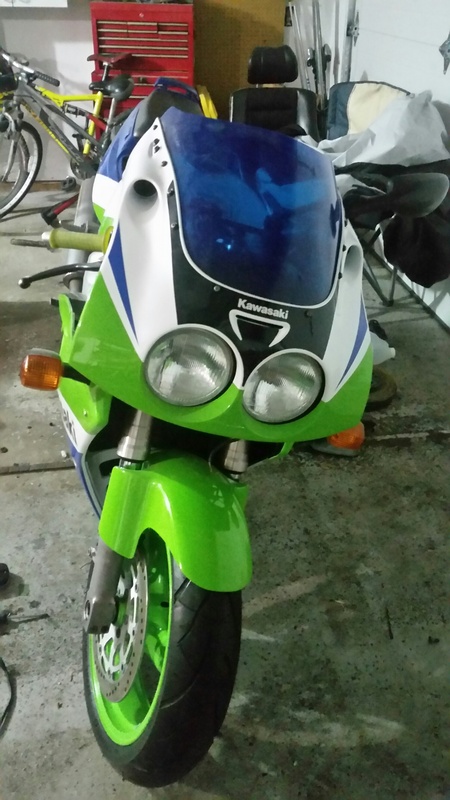 My father claims it was a 1990 H model but I could swear it was a 91/92 K bike. Anyways, it is the K I am on to next. Likely a bit slower as I have at least one job in the cue before that and I would like to do a nice job. I will get sup some more pictures of this J when I have a chance. Thanks to Honda434 for a ton of help with paint colors. Great work there Evan, just in time for spring too. BTW it's hard to tell from the pic but is that a Sudco/Hindle exhaust you're running? The general shape of the badging looks like it and I can't quite tell if there's spring connectors on the can or not. If so a really great and rare pipe to be smokin', especially the 4:2:1 setup. Hi Necron 9D9, this certainly looks like a Hindle to me as well although it came in the current shape with the faded badge. It looks a bit rough so I may give it a polish. It does indeed have the spring connectors. Hindle was always sort of a second rate manufacturer compared to Yosh/Arrow/Muzzy. Is this not the case? You can give Hindle a ring over there in ON and see if they have a replacement badge still hanging around. They had a fire sale a couple of years ago to move their vintage stuff but still may have parts for your pipe. The real selling point was another article in Motorcyclist and it was a pipe shootout with something like 23 contestants using a YZF750 test mule as a control. They measured peak HP and TQ, the overall curves of both, Db and general sound, weight, cost, and fit and finish. 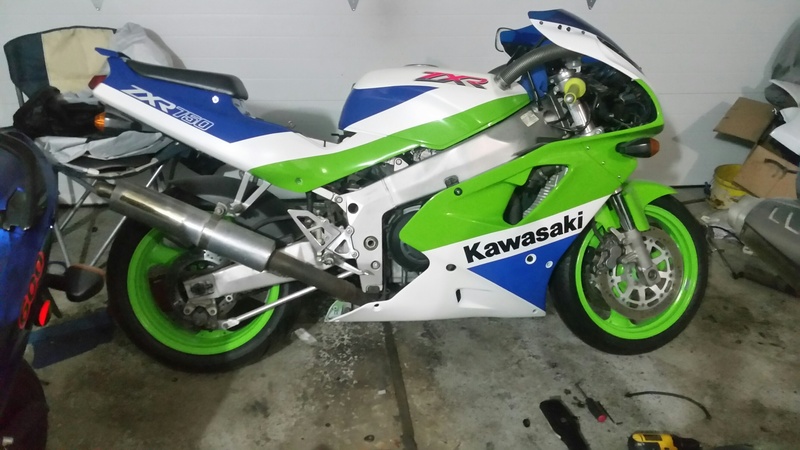 The Sudco (Hindle) was placing 1, 2, or 3 in each of the tests and ran just about even with the Muzzy performance wise, and it was damn near the lightest (Ti pipes weren't compared since they cost as much as an entire used sportbike back then). For the price vs. the Muzzy I got the Sudco badged Hindle, plus a "free" jet kit and ignition advancer. It's nice that today I have been lucky enough to have both, plus a couple Ti Muzzys too. Time can be good. But yeah, a great 7 pipe and I think you'll like it once you've ridden some miles on it. I got a Hindle for my next build. Brand new header/high pipe and is only 6.1 lbs. I also found the period correct matching carbon fiber muffler. Very happy with the products.